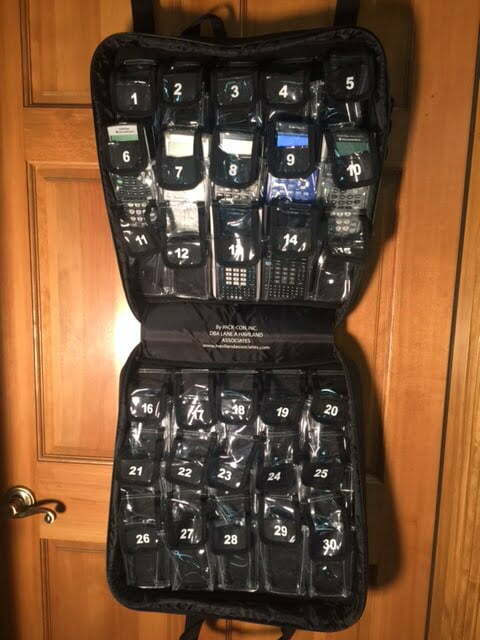 This soft hanging case designed to hold 30 graphing calculators of any size and other electronics. Most cell phones can be inserted also. Each numbered compartment is clear to make it easier to see what is in each pocket. 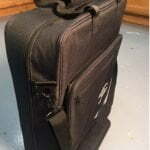 Case folds and secures with a zipper. Case has two door hangers to hang the case open from a door. 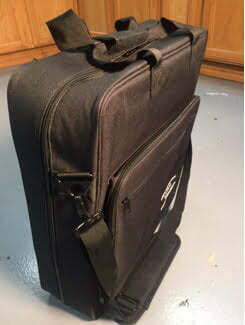 Case also includes a large storage pouch on the front and a handle and shoulder strap for carrying when closed. Made from heavy weight Denure fabric.